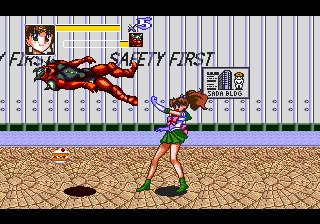 Bishoujo Senshi Sailor Moon is an action beat ‘em up game for the Sega Genesis. Based on an anime/manga with the same title. 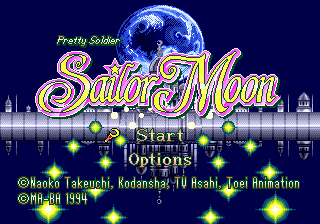 This is a complete English translation patch for the Mega Drive version of the beat-’em-up Bishoujo Senshi Sailor Moon (Pretty Soldier Sailor Moon), developed by Ma-Ba and of course based on the popular franchise by Naoko Takeuchi. All text is translated to English. 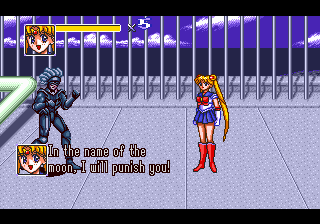 The voice clips in the intro are subtitled. 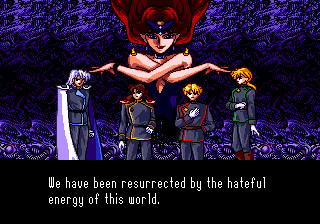 The region lock is removed, so the game can be played on non-Japanese Genesis/Mega Drive consoles. PAL systems will experience the usual slowdown. A very minor and nitpicky change: In the original game, pressing Left on the difficulty selection menu increases the difficulty, while Right decreases it. 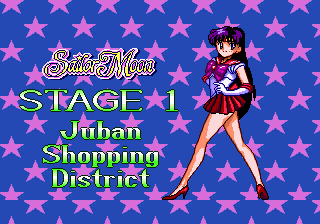 While this is probably intuitive to the Japanese, it’s not for most Westerners, so the patch reverses it.